You are here: Home » Can the New Hotmail Take Over Gmail? ← Amazon + Samsung LED HDTV = Super Bundle Deals. Expires Tonight. 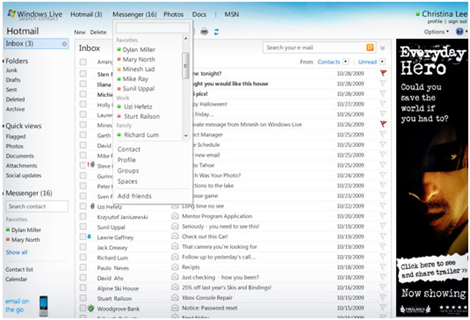 Hotmail defined the web mail paradigm when it came out and indeed my very first email account was with hotmail. But, Google took over this space with unmatched features, storage space and just the ease of using email for power users as well as regular users. Go here for full details on these features. Looking at all these new features and looking back, I am wondering why was anyone using Hotmail still without any of these features that were already available in Gmail! 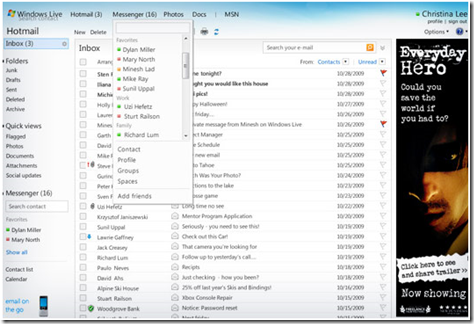 Anyways, if you have a hotmail account, it definitely is a time to revisit Hotmail and take a look around. As for the question, can the new Hotmail take on Gmail? You be the judge.